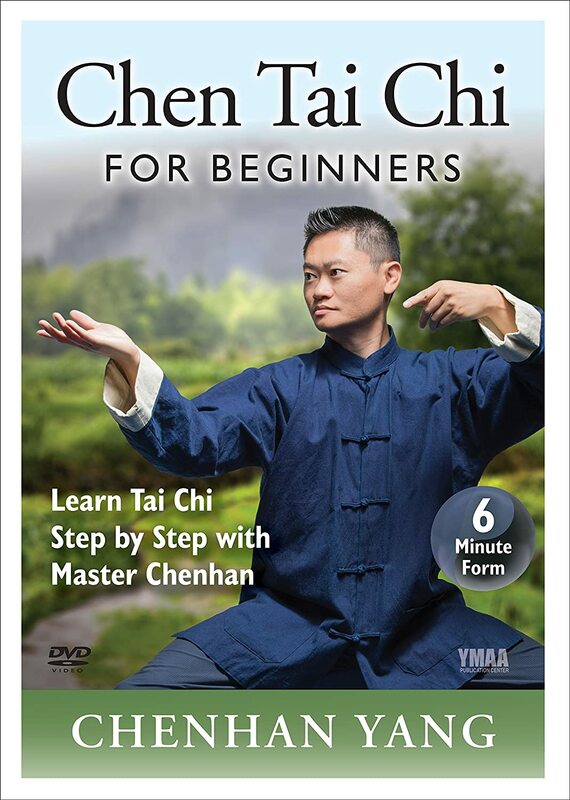 DVD Learn Tai Chi Step by Step with Master Chenhan. Tai chi chuan is a kind of moving meditation with ancient roots in Chinese martial arts. In this program, Master Chenhan Yang teaches you the standard Chen-style 56-movement form, with step-by-step instructions explaining the purpose of each movement. DVD PERFECT FOR BEGINNERS! Experience Tai Chi Health in 10 Minutes. For the first time on video, the Tai Chi 48 form is taught in detail with step by step instructions by Master Helen Liang. "SIMPLIFIED TAI CHI for BEGINNERS - 48 Form" is the perfect way to experience the amazing health benefits of a shortened tai chi form, no matter your current fitness level. DVD PERFECT FOR BEGINNERS! Tai Chi Health in 6 Minutes. Simplified Tai Chi 24 for Beginners DVD is the perfect way to experience the amazing health benefits of a shortened tai chi form, no matter your current fitness level. DVD Improve Your Health with Tai Chi. Tai Chi for Women is a simple follow-along workout for beginners. Using exercises that target women’s most common health issues, Master Helen shows you how to stay healthy, flexible, and youthful at any age. DVD Old frame routine No 1 emphasizes on silk reeling power throughout the entire form. The form is done in a slow pace with soft movements most of the time and occasional expressions of power (fa jin). DVD Taiji Sword is a weapon form of Taiji practice in which the sword is seen as an extension of the body and it shares the same principles as Taijiquan, Taiji bare hand forms. The ultimate goal in Taiji Sword practice is to have the body and sword move as a harmonious and unified whole. DVD In Yin-Yang Taiji Thirteen Postures, every movement is done on both left and right side for balance. Each movement has its yin and yang, soft and hard counterparts. The movements embody both explicit and hidden power as well as soft and explosive power. The martial application for each side of the movement has its own uniqueness. DVD Bagua is an internal martial art, akin to Tai Chi, known for its circular movements. It is based on the philosophical concepts of Yin and Yang, Tai Chi and I Ching. This Bagua sword comes from the Shu Mountain Range, where Emei Mountain lies. Many captivating stories and legends have told for generations about the sword immortals living in this area. DVD Xingyi is based on the five elements so that each element is expressed as a characteristic combat technique. Xingyi is still implemented by modern military and police for combat training. It is also very popular for health cultivation since its guiding five element theory is parallel to that of Traditional Chinese Medicine. This unique Xingyi form is for swords and short range weapons. DVD Xingyi is is based on the five elements so that each element is expressed as a characteristic combat technique. Xingyi is still implemented by modern military and police for combat training. It is also very popular for health cultivation since its guiding five element theory is parallel to that of Traditional Chinese Medicine. This unique Xingyi form is for long pole weapons. DVD Snake Fist is legendary throughout the martial arts as one of the most powerful and deceptive fighting styles. Snake Fist is known for its lithe body movements and its wicked strikes. When attacking, Snake Fist strikes like a cobra spitting venom, and then recoils as if jolted by lightning. DVD Baguazhang is legendary both as an ancient internal martial art and for improving health. It develops upper body flexibility, leg strength, and lighting-quick hands and feet. Baguazhang training generates a strong flow of Qi energy to energize your muscles for increased strength. This Qi flow also nourishes your internal organs and improves health and vitality. DVD Bagua Palm Emei Swimming Body Baguazhang Bagua Palm is and internal art of self defense and self cultivation, based on the Daoist symbol known as Bagua, or eight trigrams. It is a series of eight postures and moves in circles. DVD Taijiquan is a traditional Chinese martial art and a treasure to the world. It brings harmony to both body and mind. It is beneficial to people of all ages and all lifestyles. DVD 12 Animals Xingyi Sword is based on the five elements so that each element is expressed as a characteristic combat technique. These elements are combined to form twelve more techniques that emulate the fighting skills of the animals. This unique Xingyi form is for short blade weapons. DVD 12 Animals Xingyi Staff & Spear is based on the five elements so that each element is expressed as a characteristic combat technique. These elements are combined to form twelve more techniques that emulate the fighting skills of the animals. This unique Xingyi form is for long pole weapons. DVD Deer Horn Knives Deer Horn Knives are one of the unique weapons of Chinese Martial Arts. They are practiced in the style of Bagua, which is a major internal style alongside Tai Chi and Xingyi. Bagua Deer Horn Knives combine grace and fluidity with razor-sharp precision. DVD BETTER HEALTH IN 20 MINUTES A DAY! Learn two of the most popular forms of Tai Chi Chuan, the ancient Chinese martial art which is often described as `moving meditation'. The 'Simplified' 24-posture form is taught and demonstrated by Master Liang, Shou-Yu, with martial fighting applications. DVD Liu He Ba Fa, as one of the highest forms of internal martial arts. Created to benifit one's health, strengthen the body, rid the body of sickness, and to attain longevity, Liu He Ba Fa is a unique form of internal martial art. DVD Xing Yi Fist is a major internal method of combat known for its linear and explosive attacks. This video shows you all the fundamental building blocks to this powerful system of self defense. DVD This video shows you the twelve animal techniques of Xing Yi: Dragon, Tiger, Monkey, Water Lizard, Horse, Chicken, Swallow, Sparrow Hawk, Snake, Ostrich, Eagle and Bear. DVD An shen pao is a dynamic two-person sparring form that develops your fluidity and agility..